MEXICO CITY -- Volkswagen AG plans to announce today that it will build an engine plant in Mexico to supply vehicles assembled in North America, a source at the company's assembly plant in Puebla said Tuesday. 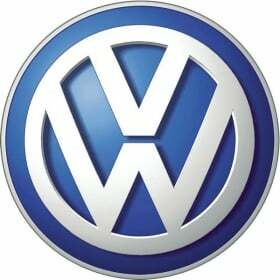 A VW spokesman confirmed that the company will make an announcement Wednesday but declined to say what it will concern. The new plant will supply an existing VW plant in Puebla, 75 miles (about 120km) southeast of Mexico City, and one being built in Chattanooga, Tennessee, the source said. The Puebla plant builds the VW Jetta for the United States as well as other models for Mexico and Latin American markets. The Chattanooga plant is scheduled to begin building a new mid-sized sedan early next year. The passenger-car engines to be produced at the new plant will satisfy U.S. emission standards set for 2013, the source said. He declined to confirm a local newspaper report that the chosen location is about 250 miles northwest of the Mexican capital, in the central Mexican state of Guanajuato. The city of Leon edition of the Mexico City newspaper Milenio quoted “federal government sources” as saying Guanajuato state has won the race for the plant. The newspaper said the announcement will be made Wednesday at Los Pinos, the capital's presidential residence. The Volkswagen source could not confirm where the event will be held. On a visit to Mexico in July, Jochem Heizmann, a member of Volkswagen Group's executive council, said the automaker will spend $1 billion in Mexico over three years. He said the group was planning an engine plant in North America but didn't say where.